This Father’s Day, thousands of kids (and spouses) will be looking to treat their dads. Fathers and golf go together like alcohol and triple bogeys so what better way to celebrate than by spending the day together out on the golf course? Not only is this a great way for families to form lifelong memories with the world’s #1 Dads, it’s also a great way to promote your golf course and pro shop. In fact, it’s a can’t-miss holiday: 77% of Americans are planning to celebrate it in some fashion, and the average person will spend $133 on their favourite father. With a few clever ideas and the help of golf marketing tools you can be sure to make the most of this special day. Outings as a family are the number-one category of Father’s Day spending. 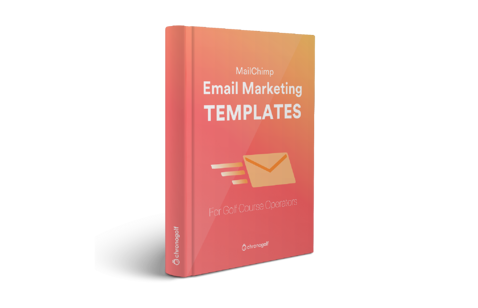 By implementing a well-thought-out promotional campaign, you’ll be able to make your golf course a hot destination. 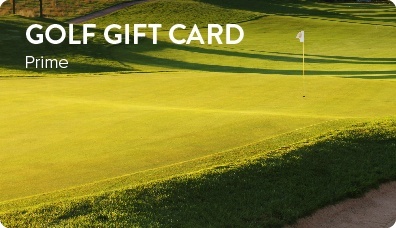 One of the simplest ways you can get more people to spend their Father’s Day at your golf course is through a promotion. A good idea might be to make Father's Day weekend a “Dads play free” event. Offer two-for-one golf if you book online with an easy to remember promo code and bring your Dad. This is a great way for fathers and their children to get out on the golf course together, whether it’s for the very first time, or the hundredth. For beginners, this is the perfect time to be introduced to the sport in a fun, family oriented atmosphere. For the well seasoned, a time to see if they can finally beat Dad. Once you decide on a promo, you’ll need to spread the word. Email and social media campaigns are one of the easiest marketing campaigns to set up, plus they offer great visibility and return on investment since they are free. With modern golf course management software, you can get a lot of insights into your customer base. Split them into categories (age, whether they play as a couple, member vs. public player) then target them using different emails for maximum impact. 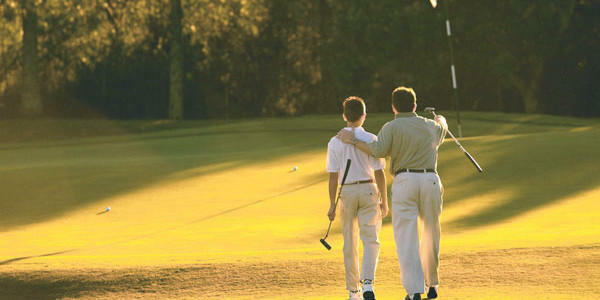 For example, a younger player should be targeted with golf promotions that remind them how special their bond to Dad is. Something that asks: why not treat him to a day out on the course? Members, who already have green fees paid for, could be targeted with an email promotion focused on discounts on hard goods, such as pro-shop items or food & drink deals. Middle-aged female players could be targeted with an ad enticing them to treat their husband to a golf-related gift. By segmenting your audience, you can appeal to a wider set of people than with a one-size-fits-all email. Another great way to get people on the golf course for Father’s Day is by including promo codes in your targeted mail outs. Customers can use them when booking online to apply discounts to rounds of golf, cart rentals, or pro shop items. The world of golf equipment is not the most straightforward one - unless you know Dad has been eyeing the latest Titleist AP2 set for the past few months, even the head golf pro might not know what’s right for him, and nobody wants to give a gift that won’t be enjoyed. Gift cards are the perfect promotion ideas to ensure that Dad loves his father’s day present. In fact they account for the second most popular category of Father’s Day gifts. Don't miss out on the thousands of gift cards that will be purchased in the weeks leading up to the holiday. By ensuring that your golf course offers them, you can capitalize on non golf savvy family members who want to treat their dad to the perfect gift. Pair this with a sale at the pro-shop, and you have a recipe for success. Americans will spend almost a billion dollars on sporting goods this Father’s Day, and way more on clothing, including golf wearables. Remind your audience that the pro-shop is the best place to get great golf gifts, gear, and advice! On that note, we recommend publishing a gift guide to showcase the most popular and newest golf gear available at the pro-shop. 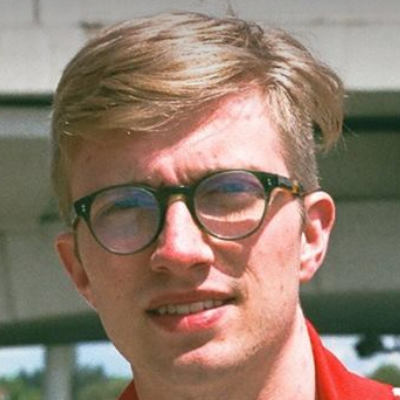 You could include a link to this in your Father’s Day promotional email. Getting the word out online about your must-haves is one of the best ways to generate interest. One-third of people will shop for their Father’s Day gift online, with young people being the majority in this category. 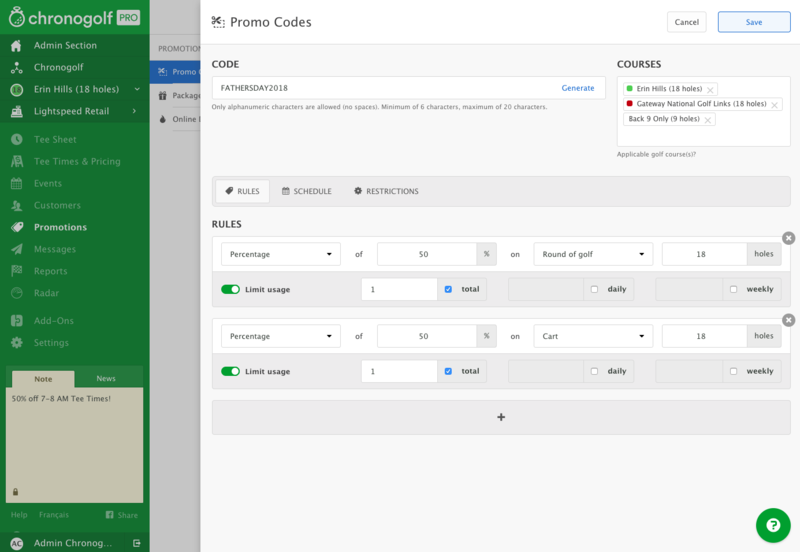 Google Searches for “Golf” hit their highest point the week right before Father’s Day, so make sure you’re using quality Ecommerce software to be seen in the search results. Make it fun, make it memorable! For someone who has never played before, golf is a bit intimidating to pick up. Father’s Day is the perfect time to get new players into the sport, whether it’s dads looking to introduce their kid, kids looking to introduce their dad, or a family looking to try a new sport all together. Make it an event! Aside from a killer promotional campaign, you could host a family oriented day: host a tournament for Dads to compete in with (or against!) their kids. Offer prizes to win, especially ones that appeal to new golfers, like a father/child golf lesson. Cap off the event with a BBQ complete with live music for after the sun sets. Nowadays, a lot of golfers (especially in the younger crowd) value the course and the culture in the clubhouse. A wide variety of food and drink options, as well as a more casual atmosphere will go a long way to prove to these would-be members that your course isn’t only for khaki-clad executives, it’s open for golfers of all ages and backgrounds. The idea, at its core, is to show that the golf course is a place for people of all ages and skill levels to practice an amazing sport, surrounded by great people. Fathers day is your opportunity to create lifelong memories, and cement the golf course as the place to spend quality time with Dad. Need help generating more marketing performance? 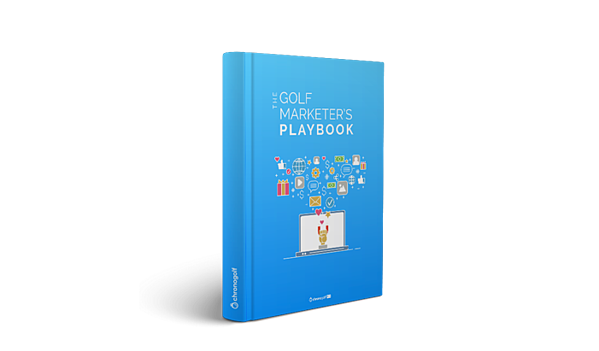 Up your golf marketing game with our comprehensive guide.